22 mile long run on the Fourth of July...sounds about right! Look, I wasn't exactly chomping at the bit to run 22 miles and doing it on the Fourth of July, a holiday dedicated to dance parties, cheeseburgers, beers and staying up late? It sounded like a recipe for disaster! I intended to run the 22 on Friday but my legs and my brain demanded the day off. I shot a text over to my best running buddy Gregg who was getting ready for his last long run as well (the only difference was Gregg's long run was 40 miles!). He wanted to run on Saturday and I have a million times more fun running with him than I do alone so I bit the bullet and decided to run on the Fourth of July. But once I got off the train and took off to meet Gregg, my mood changed. I knew I was going to have a really good run. 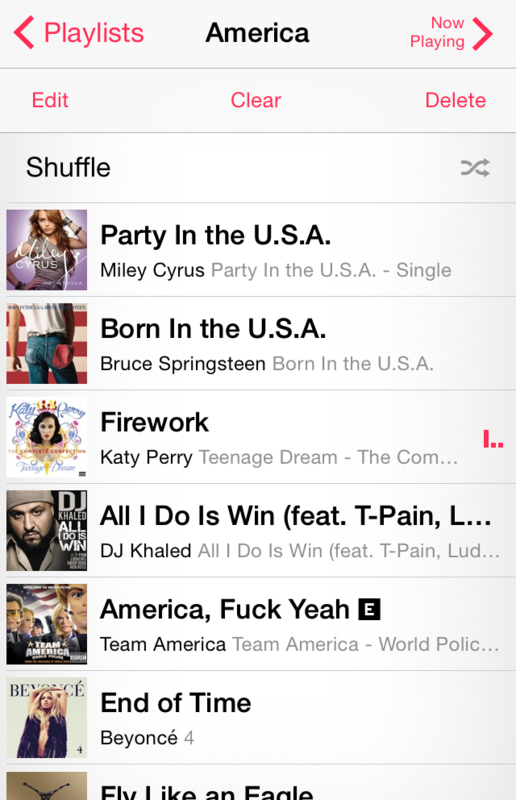 Nothing hurt, the weather was perfect (cloudy and misty -- terrible 4th of July weather PERFECT summer running weather) and I had my killer USA playlist locked and loaded. I met up with Gregg about 3 miles in and told him I planned to stop every few miles for a dance party. This is why Gregg is the world's best running partner, not only is he the world's most supportive, optimistic and friendly man ever but he puts up with me when I scream Katy Perry's Firework for 4 miles (I literally played it on repeat). THEN he doesn't try to hide when I dance like a crazy person, all it takes is a tiny bit of pleading from me he jumps right in! He's always game for a good time. We started on the West Side Highway near Tribeca and ran up to Central Park, did one full loop of Central Park and then took off through midtown down to Flatiron for a mile 15 sorbet break. Running through midtown was CRAZY TOWN. First I made Gregg stop at Radio City so I could dance like a rockette (it was at this point that he was like, "STRONG PASS ON THE KICK LINE." He had 25 more miles to go so I gave him a pass.) Then we dodged tourists and cabs and finally made it to Maysville where our friend Caroline is the Executive Pastry Chef (CAROLINE IS A FOOD GODDESS.) She made us sorbet that was probably the most delicious thing I've ever had IN MY LIFE. (CAN WE DISCUSS HOW GREAT OF AN IDEA IT WOULD BE TO HAVE A SORBET STOP DURING A MARATHON?!?!?!?) It was the best way to break up a 22 miler and I cannot believe I've gone 2 years without throwing sorbet stops into my long runs. WHAT WAS I THINKING!?!?! SO MANY REGRETS! Once we left Maysville, we took off for the West Side Highway again and that is where it started to rain. Now I'll take rain over heat and humidity any day but I was being rubbed raw by my beautiful spots bra and I had that moment of, "DEAR GOD WHY!?!? WHY RAIN!?!?! WHY!?! I DON'T KNOW HOW MUCH MORE OF THIS I CAN HANDLE!" We both were hurting and I wasn't sure if I wanted to go for 20 miles or 22. My watch died at mile 16.5 because I forgot to charge it the night before (typical Kelly move...) I ended up having to do math with Runkeeper which wasn't super fun with a foggy 20 mile brain. It would go, "2.5 miles" and I would have to add 16.5 plus 2.5. Sounds easy right? No...not when you've run 19 miles. As I was headed away from the West Side Highway making my way over to the Brooklyn Bridge, I decided to top at the 9-11 memorial. I wish I could put into words how it feels to visit this memorial but I can't. My heart aches for the thousands of people who lost their loved ones and who's lives changed completely that day. I try to run by here whenever I can because it's such an important place and on the Fourth Of July it was a no brainer. After my little break, I took off for the Brooklyn Bridge and then towards my apartment. Now I've never really run from the bridge into Brooklyn I always run from the Bridge into Manhattan. Somehow the mileage stars aligned and I ended PERFECTLY at mile 22 where the subway station was. Well, I was a little over 22 miles when I got to the Barclay's Center but it was by a quarter of a mile (ish) and I was in awe. I couldn't believe it worked out. THAT NEVER HAPPENS. I wish every run was like this one but I got really, really, really lucky that my last and longest run was the easiest and the most fun of them all. Here's what I've learned from this marathon training cycle, your attitude is everything. If you are in a bad mood and if you don't want to train, you're going to have a terrible time. You're going to have doubts and you're going to fight through some mental blocks, that's all apart of marathon training. But you can decide how you want each run to go, if you surround yourself with supportive and fun people, you'll catch their positive energy. It's really important to figure out different ways to enjoy yourself because come race day you need every tool possible to help you when your body screams in pain. Showing up is half the battle but getting through with a smile on your face is what's really important. No one would run marathons if they didn't enjoy themselves right? Running a marathon is a really huge learning experience. It's insane to watch your body adapt to the heavy mileage. I felt unstoppable when I finished this 22 miler and I actually had that moment of, "I could keep going...should I stop?" I've had so much fun training for this marathon and it's never been like this. 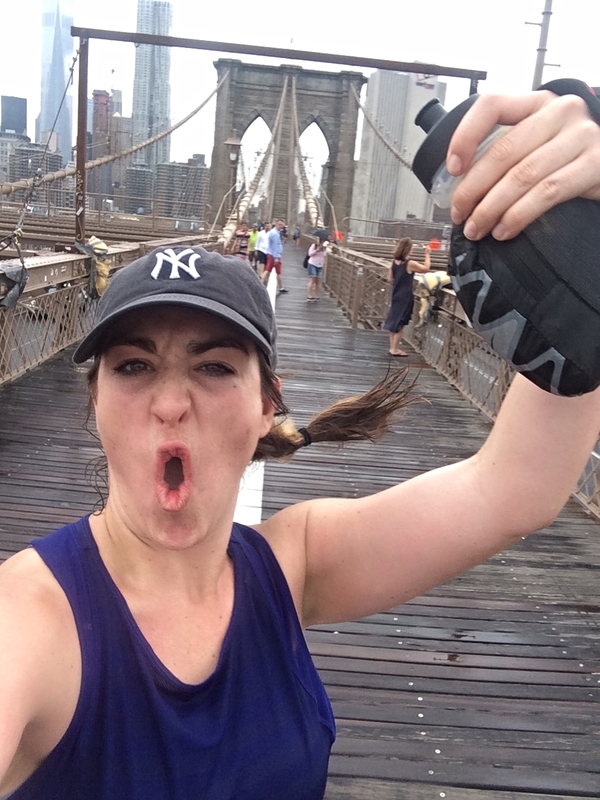 My first marathon was just painful and terrifying because I didn't know what I was doing. My second was a lot of hard work and excitement but more pain than fun. This time I listened to my PT and my training plan and I ran with fun people. I think the biggest reason is just that I've been running longer and I now know what to expect. I gave myself more than enough time to train (WHICH IS VERY IMPORTANT) because if you increase your mileage slowly you feel so much stronger during your longer runs. I spent the rest of the Holiday at my very good friend Melissa and Stevie's home. We barbequed, danced, ate way to much (I at one point was just spraying whip cream into my mouth for an hour) and unfortunately I didn't make it to fireworks. We made it all the way to the river when I turned to everyone and said, "I'm tired. I'm going home." And I hopped in a cab, went home and went to bed right as the fireworks started. Welcome to taper time! Until next time, #RunSelfieRepeat.